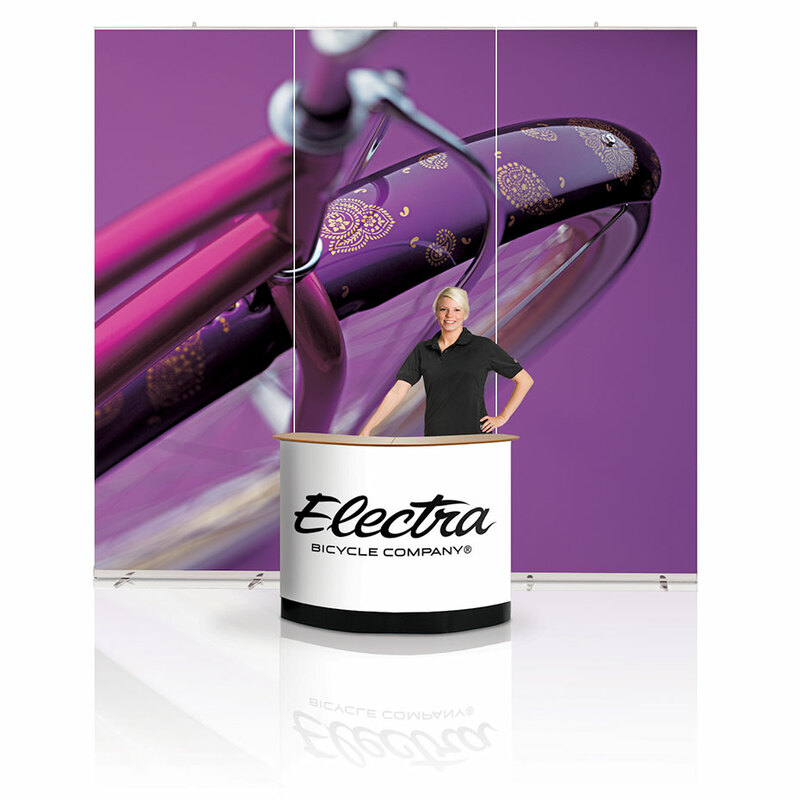 Highly flexible non-retractable banner display system. 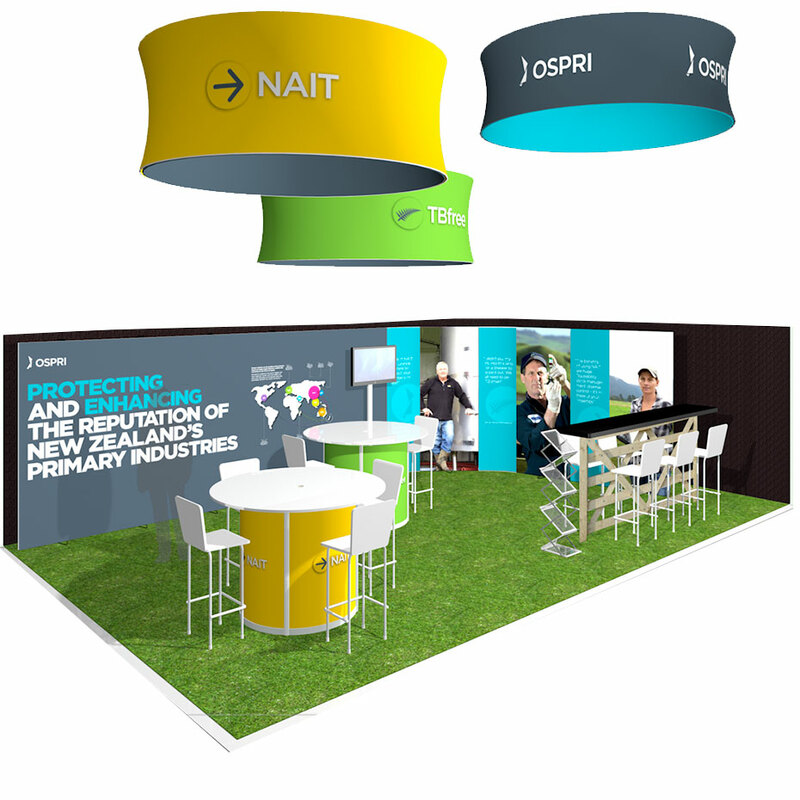 Expand LinkWall is a versatile banner display system that you can adapt the size and shape of depending on location, event and target group. You will have multiple uses for this single system. 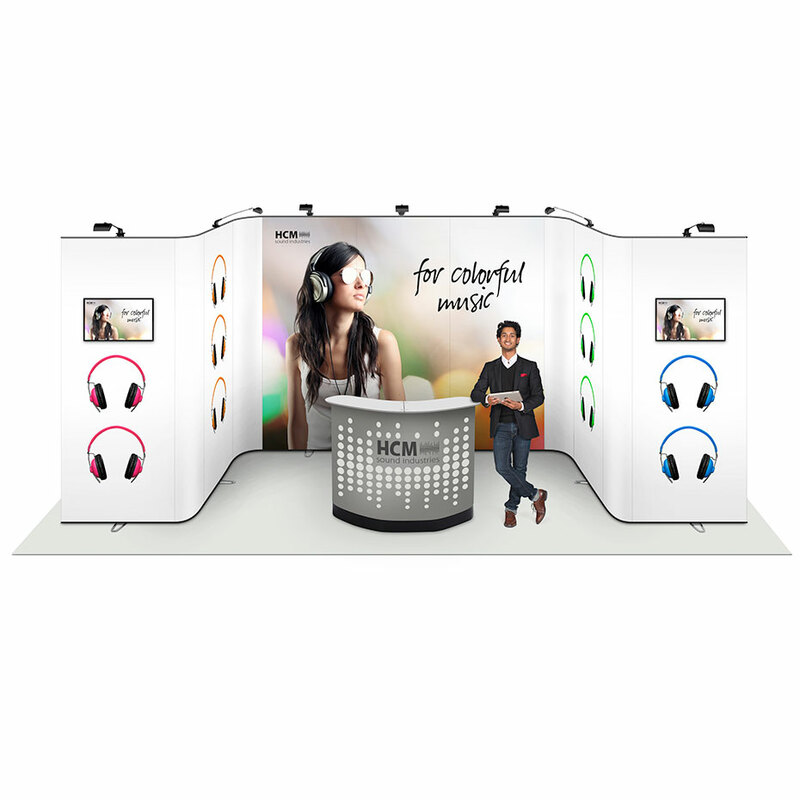 Expand is a pioneer in manufacturing and marketing portable media displays and is a global market leader. 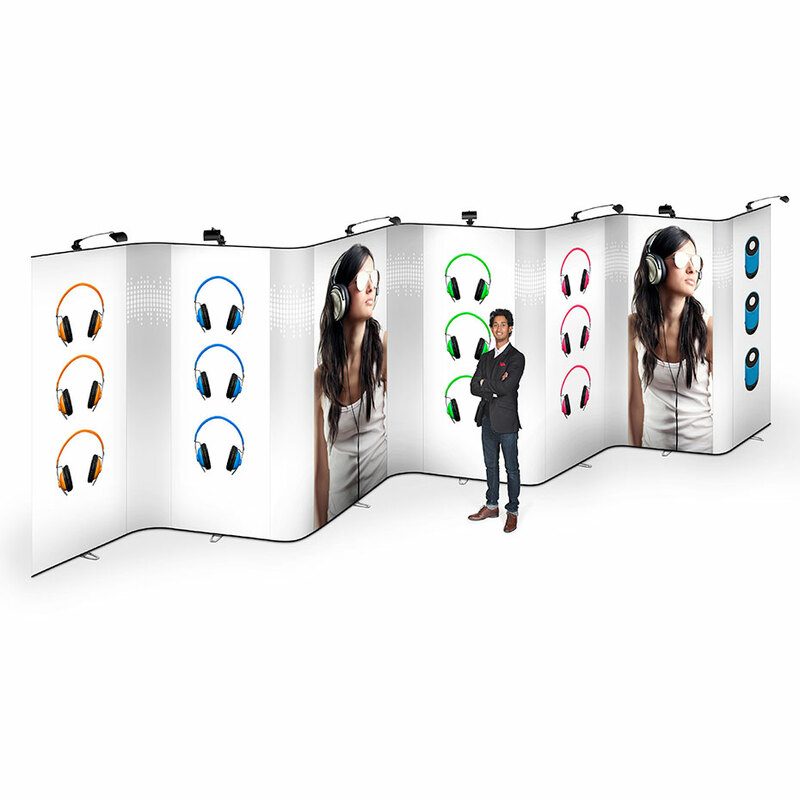 Designed in Sweden (exclusively available in New Zealand by Exhibit Group) Expand's innovative displays are of the highest quality and they lead the market with their stylish designs. 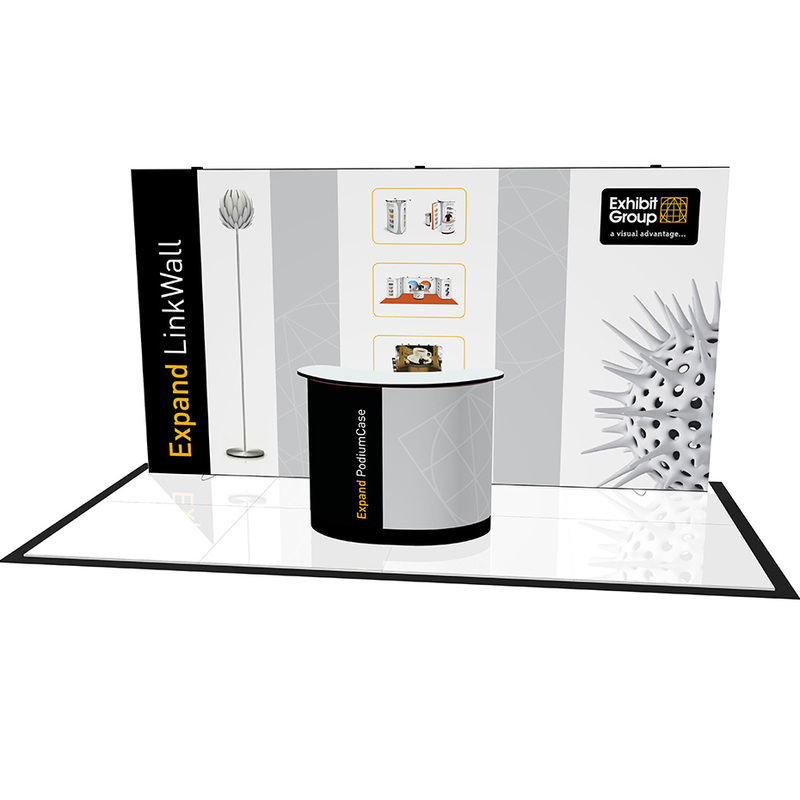 Expand LinkWall is a combination of Expand LinkWall banner units and flexible linking graphics that connect together with a magnetic solution. The flexible linking graphic has a rubber profile, which enables you to change the shape of your wall. The options are endless, combine as many as you like to create your own Expand LinkWall configuration. 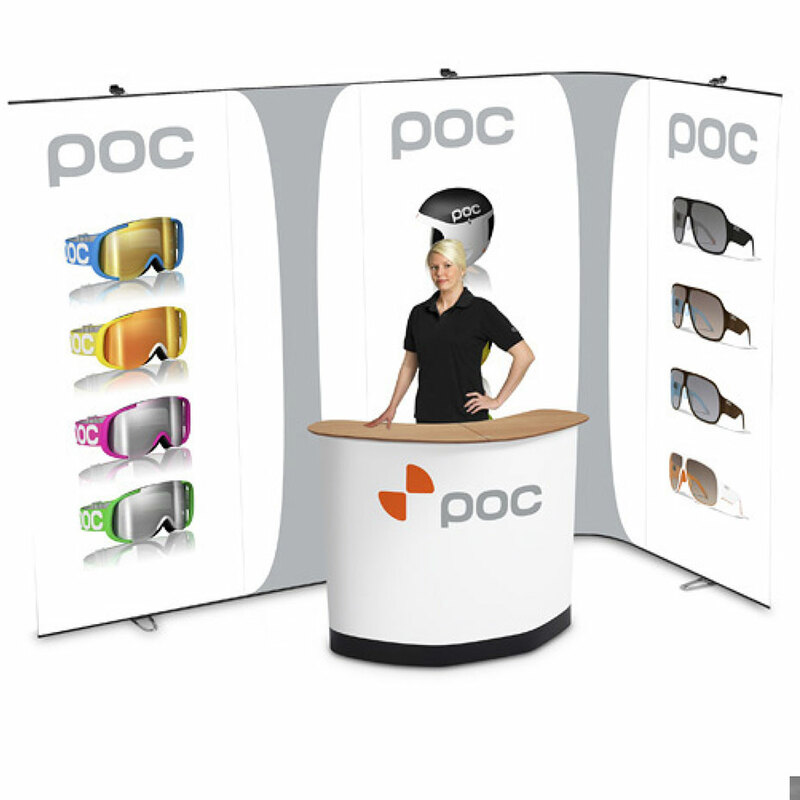 Change the shape of your display stand for your next exhibition or event. Can be used stand alone as a single banner or double sided. Shapes: L, S, curved, serpentine, star or triangle. 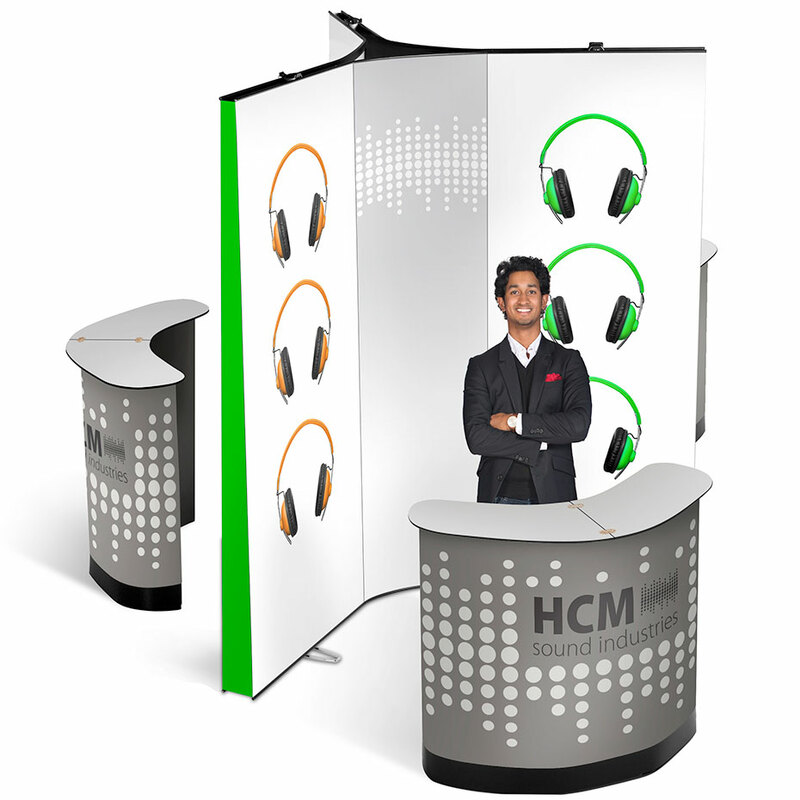 Create a large configuration for your exhibition stand or trade show booth. Full colour digitally printed graphic panels / skins. Free colour test proof included to ensure colour accuracy. Our quality promise - send it back to us to replace your graphics, rather than throw away! Perfect when you need to set-up and take down your message often. 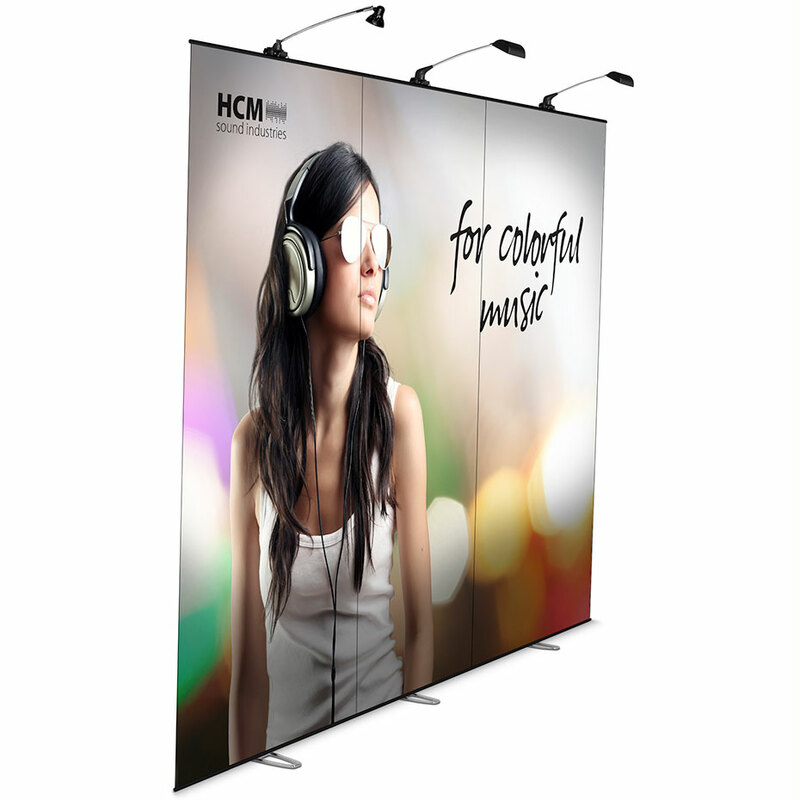 Premium, heavy duty/durable media designed and tested for long term and frequent use. For logos and branding - we can help you with your graphic design or supply specifications for your own designer. LED lights are available as an accessory to enhance your message. This light has a life expectancy of 50,000 hours and is energy efficient. It has a warm white (3700-2600 K) light and a reflector that disperses heat and reduces 'hot spots' on your graphic panel. This LED spotlight complies with all CE, UL and CSA requirements. 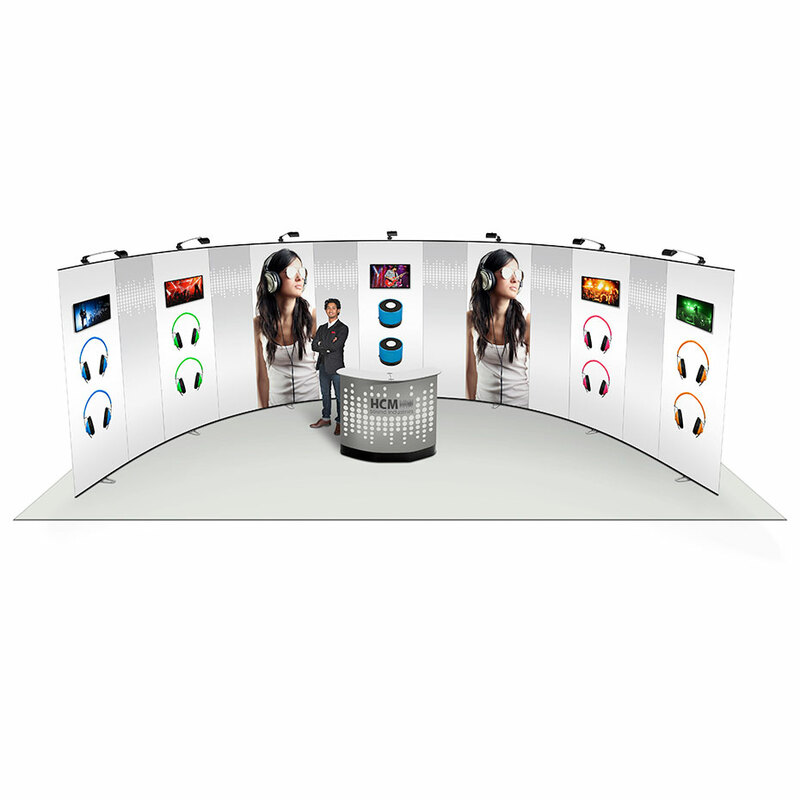 The Expand PodiumCase & Expand PodiumCase XL are ideal accessories for the Expand LinkWall Display System. The cases can be ordered with unique packing inserts to store and transport your display for an all-in-one convenience. 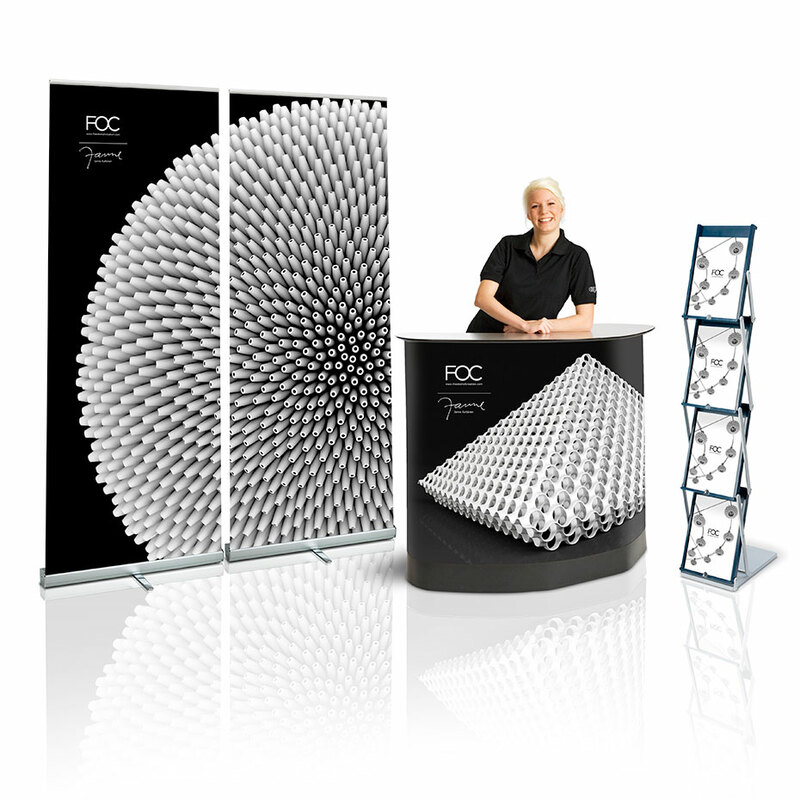 Team up with our Expand's MonitorStand and/or Brochure Holder for a complete look.